The third module on Human Evolution started early. 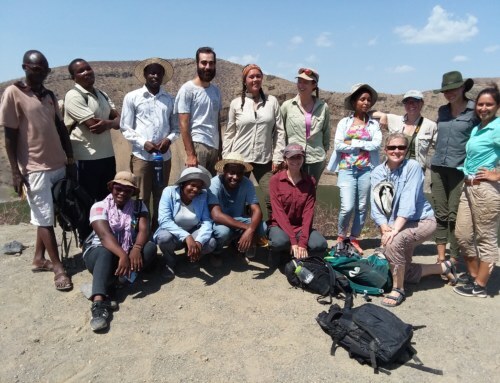 Professor Fred Grine of Stony Brook University arrived Saturday and took students on an excursion to Lake Turkana. 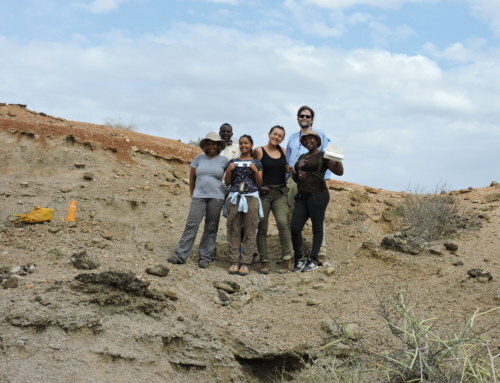 The Turkana Basin has revealed a wealth of human fossils, and is thus also known as “the cradle of human kind”. 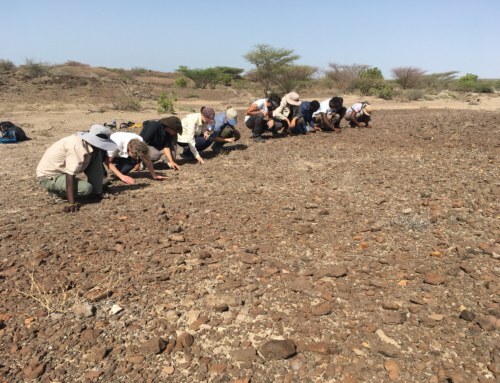 After a short truck ride students arrived at the breezy lake and began visual searches for human and animal fossils with Drs Meave Leakey and Fred Grine. 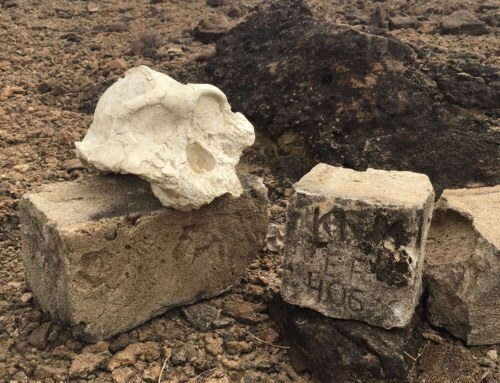 The search paid off: a 300,000 year old hippo bone was found! 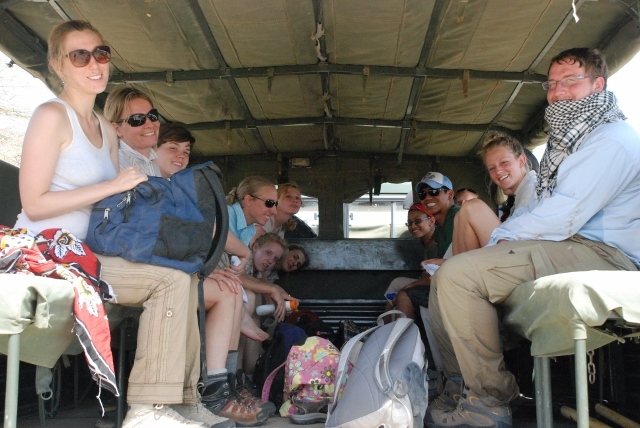 Students piled into the breezy truck. 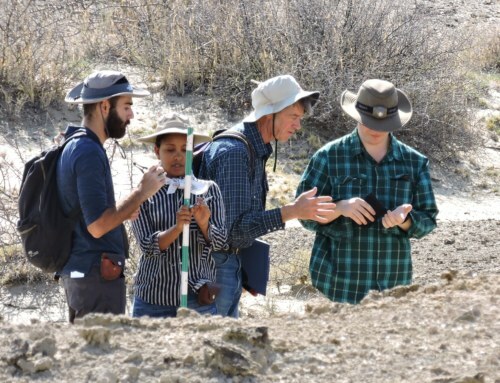 Mark, Devora, Anna, and Robert are digging for sediment layers that can help ageing fossils. 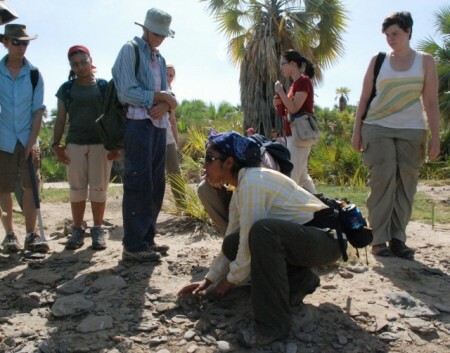 Graduate student Linda Martin is showing students different sediments. A fossil find! 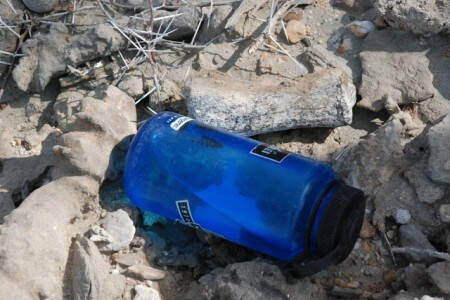 Note the bone above the water bottle. Its a leg bone (tibia) of a hippo that lived 300,000 years ago!! 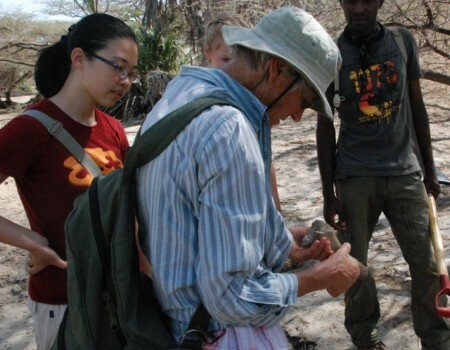 Dr Meave Leakey is talking to students about the fossil hippo bone.